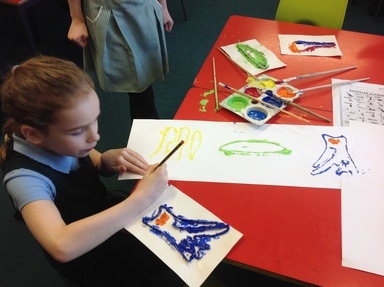 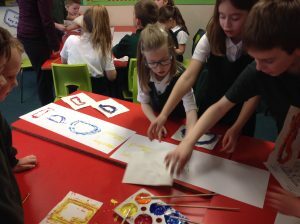 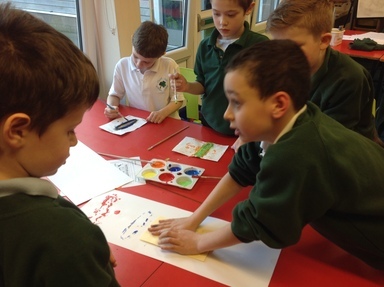 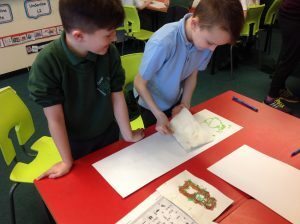 In art this term we have explored the Ancient Egyptian form of picture writing known as hieroglyphics. 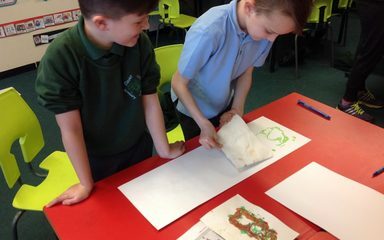 We have made our own stencil version out of string and glue. 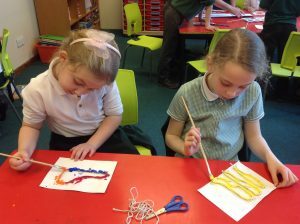 We have had great fun creating original and repeating patterns using our stencils.